Suspected British agent Gareth O’Connor took part in a Real IRA gun attack set up to kill members of the PSNI. Republican sources say the Armagh man was a backup gunman during the attack at a polling station in Draperstown in June 2001. A former ‘Operations Officer’ with the group said that O’Connor, who is believed to have joined the organisation the previous year, was armed with an AK47 during the daylight gun attack which resulted in two police officers and a civilian being injured. 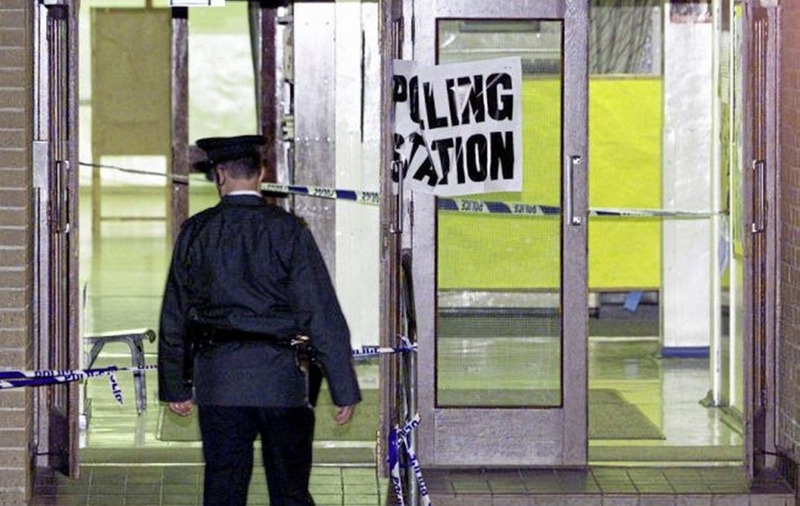 One officer returned fire during the exchange at a school which was being used as a polling station. New details of the attack, which came during a period of heightened Real IRA activity, include claims that the gunman calmly took his place in the polling station queue before opening fire with a 9mm handgun just feet from the officers. Sources say Mr O’Connor’s role was to provide cover to the gunman and he had been ordered not to open fire “unless he had a clear shot or the 9mm man got into difficulty”. A third man sat in a getaway parked close to the school. It is understood Mr O’Connor was ‘bounced’ into the operation and was given no prior notice of the target, although he was aware that a polling station somewhere in the north was being considered. “He was told to be at a certain location and when he landed to that location he was asked about the car he was in and said it was a ringer,” the source said. It is claimed that Mr O’Connor was not allowed to leave the meeting location and was informed that his car was to be used in the gun attack. Before the Draperstown attack the Real IRA became aware that police officers were wearing bullet proof jackets - a move they believe was prompted by information provided by Mr O’Connor. “The cops knew there was a polling station being looked at,” the source said. “Gareth O’Connor knew there was a polling station being looked at. A man charged with attempted murder was later acquitted. Well placed sources say that on other occasions information provided by Mr O’Connor resulted in the disruption of Real IRA attacks. Fresh details of his involvement in a plan by the group to place a 200lb bomb at a sanger at a barracks in Armagh in November 2001 have also emerged. The attack was planned after Real IRA members realised that the door of the sanger at the barracks opened outwards. Based on this information the group planned to drive a car tight to the sanger door trapping those inside. A three-minute “suction timer” was to be used on the device allowing the bomber to escape before it would explode killing those inside the sanger. The attack involved a convoy involving up to five cars, including a vehicle driven by Gareth O’Connor and carrying an armed man, which made its way into Armagh city. During the journey into Armagh the vehicle carrying the bomb became separated from the main convoy, which also included scout and getaway cars. The bomb car was stopped at a police checkpoint and the driver was arrested. A Co Tyrone man was later convicted for his part in the plot while the other participants, including Mr O’Connor, escaped. Republicans believe Mr O’Connor tipped off his handlers about the attack. The following year he was also involved in a plot to kill PSNI officers in Coalisland, Co Tyrone using a rocket launcher. During 2004 court proceedings connected to the arrest of four men on the night of the planned attack it was claimed that Mr O’Connor was an informer. The men, who were arrested in a joint SAS-PSNI operation close to the town, were later acquitted. The Irish News has learned that O’Connor’s role was to open fire on the home of a PSNI officer who lived near Coalisland with an automatic weapon. Other members of the attack team then planned to fire the rocket at a police car as officers made their way to the scene of the shooting. It later emerged in court that the Mr O’Connor had been in phone contact with some of the arrested men as well as the PSNI. The Armagh native is also suspected of tipping off his handlers after a booby trap bomb was discovered under a RUC officer’s car at Lisnarick, near Enniskillen, in November 2000. 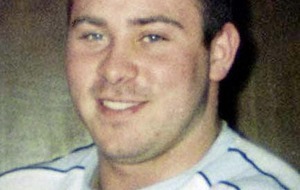 Sources say that although the Armagh man was not present when the bomb was planted, he was aware of the target. They also say he was present at the “testing, making and transport” of the device, which contained Semtex. Republicans believe he tipped off his handlers about plans to blow up a PSNI vehicle using a roadside bomb contained in a van as it made its way to Middletown, near Armagh. Sources say the bomb site was chosen because republicans were aware that a police vehicle was expected to pass by. The device, which was to be triggered by command wire, had earlier been moved from a road between Ballygawley and Aughnacloy after an attempt to target a police car there failed. Sources say that within hours of Gareth O’Connor being made aware of the device being brought to Armagh a security force operation was put in place resulting in the potential attack being called off. Informed sources believe that the dead man was responsible for halting at least two other attacks on police in Armagh and one at a filling station used by officers in Cookstown, Co Tyrone, around this time. During one of the Armagh incidents he is suspected of deliberately letting off a shot close to the GAA’s Athletic Grounds as a Real IRA team prepared to ambush police. The planned attack was subsequently called off.